Do Asthma Drugs Increase Risk of Congenital Anomalies? Researchers from the Boston University School of Public Health report there is no increased risk of congenital anomalies in patients taking asthma medications during pregnancy. The study was published in the journal Pharmacotherapy. Details about the study are minimal, but authors did reveal that women exposed to asthma medications were compared to women unexposed during pregnancy. 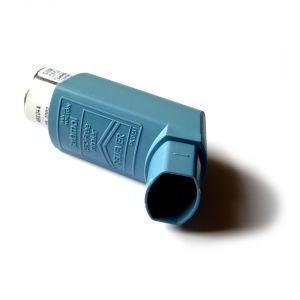 Risk of congenital anomaly in women exposed to asthma medications during pregnancy was 31.3%. A comparable risk was noted in unexposed women at 27.8%. Depending on the size of the study pool, the difference in the two groups could be statistically significant at more than 3%, but researchers did not report as much. According to the results of the study, when asthma drugs are taken during the first trimester of pregnancy, the time when women are pregnant but have yet to find out their pregnancy status, relative risk is comparable to women not exposed to asthma medications. Source: Vasilakis-Scaramozza C, Aschengrau A, Cabral HJ, Jick SS. Asthma drugs and the risk of congenital anomalies. Pharmacotherapy. 2013 Apr;33(4):363-8. doi: 10.1002/phar.1213. Epub 2013 Feb 28.